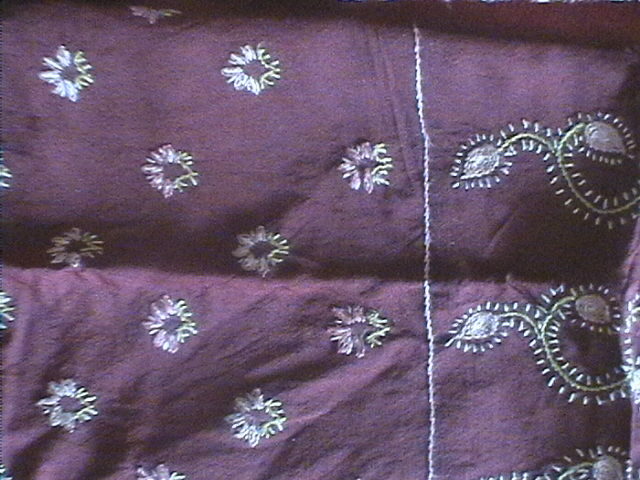 I am fond of of kashmiri embroidery done in single strand. Inthis type of embroidery,After working on the traced pattern,the empty spaces in between are also covered with straight , fly stitches . Coming back to my inspiration, I tried doing this on blouse[saree] sleeves. Now I have with me a blouse which is embroidered with some motifs! I call it Kashmiri embroidery for a simple reason-it inspired me! 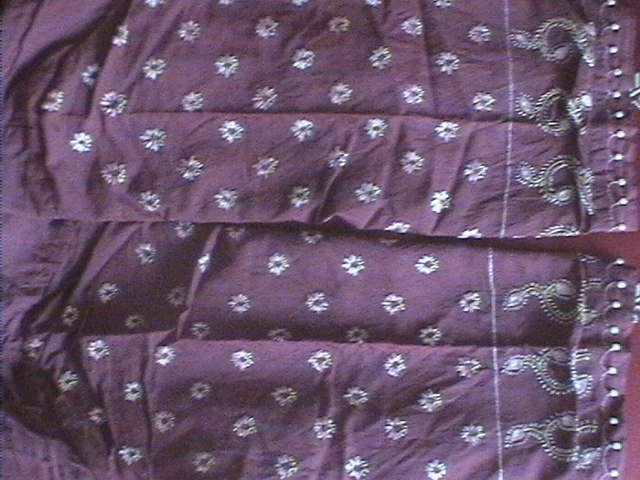 This blouse was for a cream printed silk saree. The coffee brown blouse material is silk cotton. it sure took a long time to complete this , I aged doing this.